From iOS, create a trigger mechanism that can use Dropbox or iCloud. 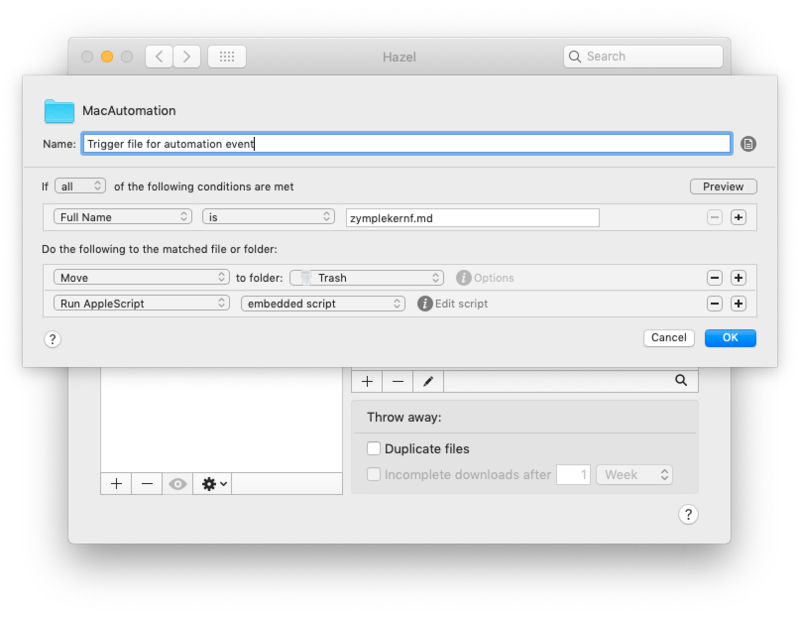 From macOS, monitor for the trigger mechanism and initiate an action on the Mac without user interaction. From iOS get confirmation that the trigger action successfully completed. From there you'll need to select your cloud platform of choice: Dropbox or iCloud. All the directions listed below will be for Dropbox. The alterations to make the workflow fit for iCloud are pretty minor. So when this shortcut is run, it will create an empty text file in Dropbox in the designated folder. The last piece is what action should take place if the trigger file is found. In my working example I wanted to know what the external IP address is for my Mac mini via an email message. This is the AppleScript embedded in the Hazel rule in the previous step. 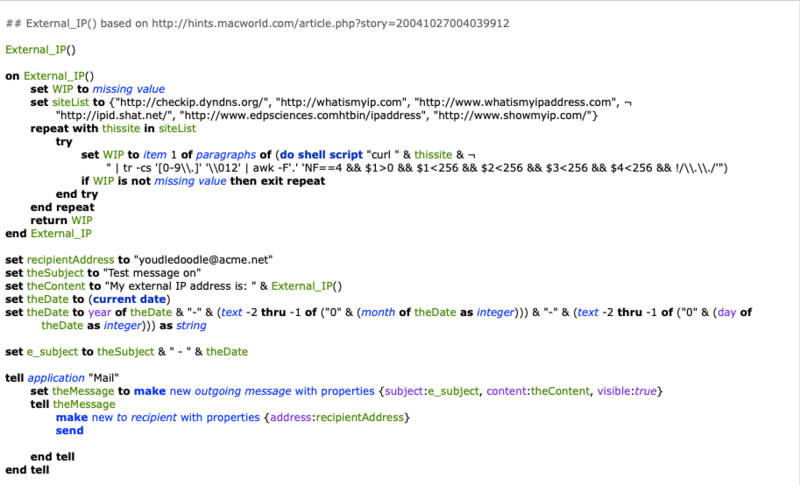 Determine the external IP address of the Mac. Email the information to a preset email address. Side note: I'll probably update the script to send a Message instead of an email since that's even more universal for my normal workflows. The main upside of using Shortcuts app, instead of other automation tools, is the Shortcut actions are automatically sync'd across all my iOS devices. So now with one button I can get the current external IP address of my Mac mini from any of my iOS devices.